Principal Stacey Brown and Pilar Benavides speak about the importance of World Languages in our schools. Click here to read the latest edition on the Ice Page for important information about our school and grade level updates on learning! Montgomery County Public School (MCPS) places the physical, social, and psychological well-being of our students as a priority. 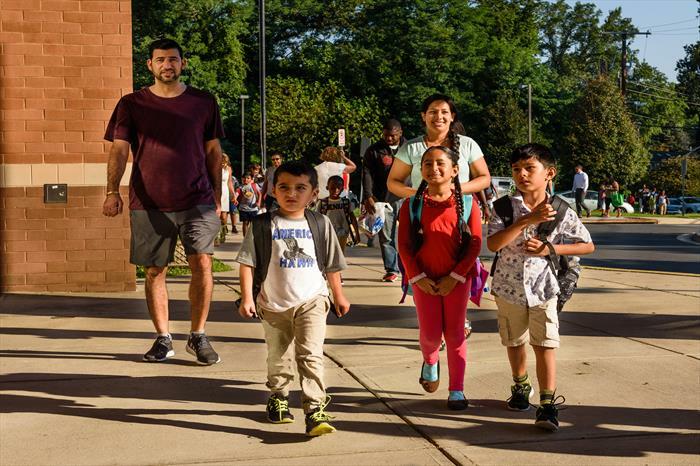 Applications Now Available for Elementary Language Immersion Program February 1, 2019 Applications for elementary school language immersion programs in Montgomery County Public Schools (MCPS) are now available. The application deadline for the 2019-2020 school year is Friday, April 26, 2019. The Maryland State Department of Education (MSDE) has released a new accountability report card for every school in the state of Maryland. 2017 Individual School Progress Report: The Maryland State Department of Education (MSDE) has posted the results of the 2017 Partnership for Assessment of Readiness for College and Careers (PARCC), and the High School Assessments on the Maryland Report Card (www.mdreportcard.org) website. Kids After Hours (KAH) is the Before/After Care provider for William Tyler Page Elementary School. Please click on their website for information about their program. Happy New Year! We feel that it is a good time to review our procedures in regards to children who are sick at school. School hours: 9:00 a.m - 3:25 p.m.